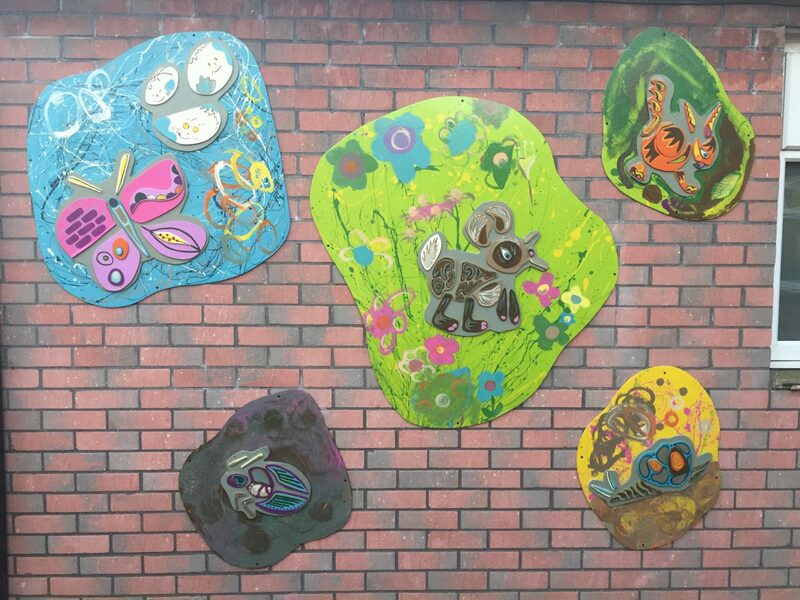 Home » News & Views » Education, Employment & Training » Marvellous Murals at Ysgol Ty Coch! 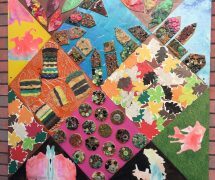 For the past eight weeks, pupils at Ysgol Tŷ Coch have been working hard creating beautiful pieces of art. 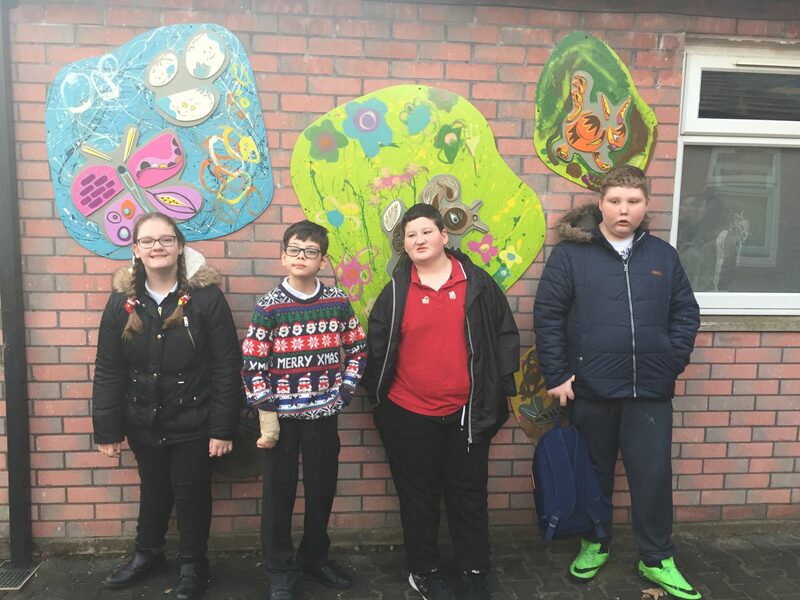 The young people took inspiration from nature to create their murals which feature depictions of real and mythical creatures including butterflies, beetles and dragons. 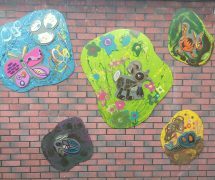 While the backgrounds of their artwork represented the earth, sea and air in wonderful colours and textures. 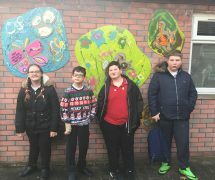 The young people presented their wonderful pieces of art to their headteacher, teachers and parents at a special launch event. 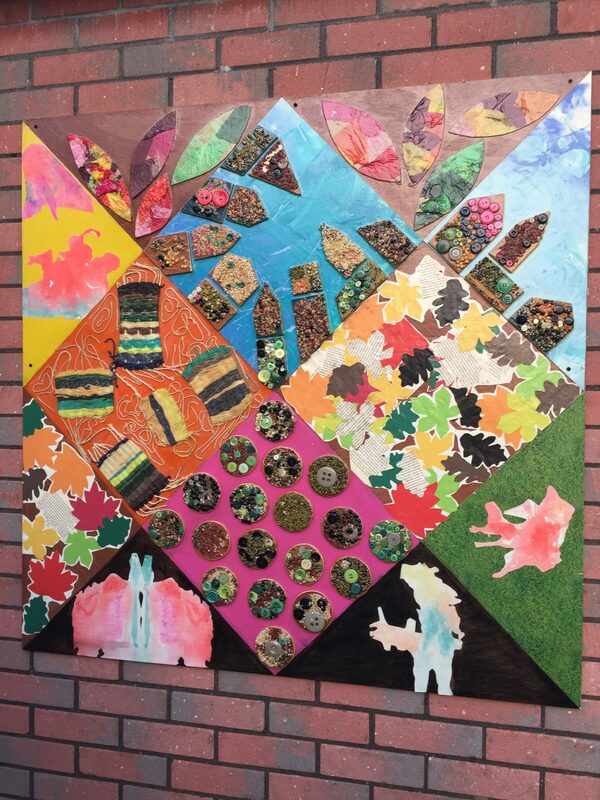 The artwork has been placed on permanent display at the school and will be enjoyed each day by pupils and staff. The project, which was facilitated by Artis Community, will continue in the spring and produce even more fantastic art.